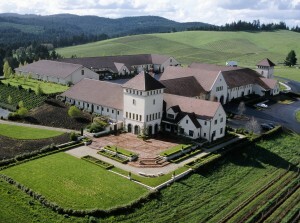 Pre-Conference Excursion Destination: Southern Willamette Valley, Oregon! We are very excited about the Wine Tourism Conference taking place in beautiful Oregon this year (November 13 – 15). The conference is growing with additional workshops, events, and sessions – all geared towards growing awareness of wine tourism and helping wine regions succeed in their wine tourism efforts. One wine region that has really embraced the concept of wine tourism is the Southern Willamette Valley. This will be the destination of the Wine Tourism Conference’s Pre-Conference Excursion. The Pre-Conference Excursion will begin on Wednesday, November 12th in Eugene, Oregon and conclude on Thursday, November 13th. The excursion supplement is $50 per person, and includes local transportation to and from winery visits for both days, and lunch and dinner on 11/12. Not included in the cost of the excursion is transportation to Eugene, lodging at the Vally River Inn, and the train ticket from Eugene to Portland on 11/13. Full excursion logistics and details can be found on our EVENTS page. On Tuesday, participants will begin the excursion with a small plates lunch and tasting provided by the Eugene, Cascades & Coast Adventure Center followed by visits to Sarver Winery (tentative) and Sweet Cheeks Winery . Tuesday’s finale will be at King Estate Winery. If you’re familiar with King Estate, you likely know that any experience with them is one to remember. At the 2012 Wine Bloggers’ Conference, King Estate wowed over 350 bloggers with an exquisite five course meal of perfectly paired food and wine combinations. The winery itself sits atop a 1,033 acre certified organic property featuring a 475 acre vineyard and 30 acres of fruit and vegetable gardens that all supply produce for their critically acclaimed estate restaurant. Guests of the excursion will be treated to a behind-the-scenes tour of the estate, wine tasting, and a wine-paired dinner in the estate restaurant. You will no doubt walk away impressed by King Estate and the other wineries of the region, but will also leave inspired by what they are doing to grow wine tourism in the Southern Willamette Valley. On Wednesday, participants who register for our pre-conference workshops in Portland will depart Eugene via Amtrak to Portland early that morning. The rest of the participants will spend a casual day visiting the the urban winery scene of Eugene as well as the new Brewery District. We will be departing on the 2:36 Amtrak for portland and will enjoy a final excursion tasting aboard the “Coast Starlight” en route to Portland. Again, check out our Events page for full Pre-Conference Excursion details and other WTC event opportunities. 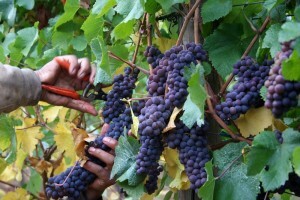 Conference registration is open for the 2013 Wine Tourism Conference and Pre-Conference Excursion.